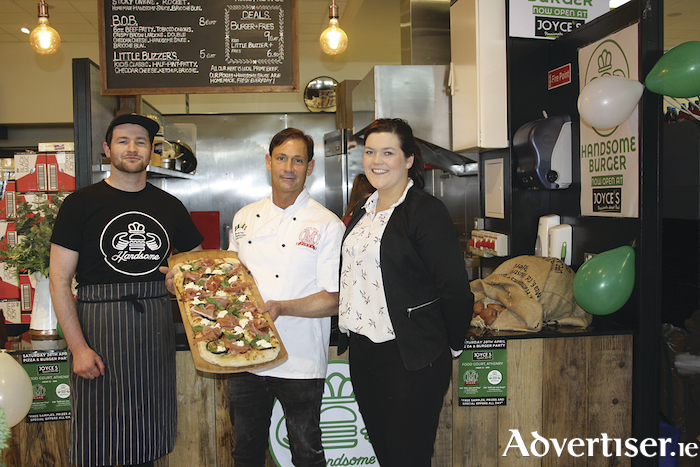 From left: Callan Qualter from Handsome Burger, Matteo Magnetti from Pizza M, who is just back from the Pizza World Championships in Parma, and Louise Kelly from Joyce's Athenry, pictured at the pizza burger party held recently in Joyce's Supermarket, Athenry, to celebrate its new food court. N17 Superstore at Briarhill Business Park will host a delicious cooking demonstration this weekend, so be sure to pop in for some great ideas for summer eats. Yvonne Carty of boutique catering company Hey Pesto! will be cooking up a storm on the day. There will also be an opportunity learn all about the latest Neff kitchen applicances, including the innovative Neff Slide & Hide, the only oven with disappearing doors. This promises to be an exciting event that will inspire you to get creative in the kitchen this summer. The demonstration takes place in the N17 Superstore on Saturday May 5 from 12 noon to 2pm. Friday is Ladies Night at Harry’s at Water Lane. Page generated in 0.0776 seconds.